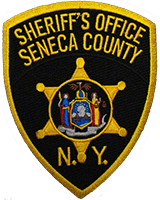 The Seneca County Sheriff’s Office reports on April 17th, 2019, members of the Narcotics Unit arrested Jessica E. Parish, age 33, of 77 Fall Street Apt 2, Seneca Falls, N.Y. The arrest stems from an investigation where it is alleged that Parish was in possession of drug paraphernalia and an unprescribed prescription medication (Buprenorphrine). Parish was charged with Criminal Possession of a Controlled Substance in the Seventh Degree. Parish was issued an appearance ticket and is to appear on the 10th of May 2019 at 10:00am at the Romulus Town Court. On April 18, 2019 at about 10:17am, Seneca County Sheriff’s Deputies responded to an industrial train accident on the former Seneca Army Depot property, in the Town of Romulus. Upon the arrival of Sheriff’s Deputies, it was determined that an employee of the Andersons Rail Group had been severely injured after being struck by a moving train. The employee, identified as Thomas J. Horn, age 46, of 5854 Route 96, Apt. 222A, Romulus, New York, was pronounced dead at the scene by Coroner Paul MacPherson. At the time of the accident, Horn and another employee were attempting to move rail cars to another location and were the only ones present. The second employee was uninjured in the event. At this point, Deputies report that it appears Horn possibly fell and was struck by the train . The Fayette Fire Department, Varick Fire Department, South Seneca Ambulance, and New York State Police also responded to the scene. The case remains under investigation and Sheriff’s Investigators will continue to work closely with the Federal Railroad Administration (FRA) and the National Transportation Safety Board (NTSB) on the incident. Sheriff Tim Luce reports that the Seneca County E-911 Center was a valuable resource during the event as they worked hard to coordinate the many different resources needed to respond to events like these. The Seneca County Sheriff’s Office reports on 04/ 10/2019 at about 6:40 AM , Deputies responded to two car personal injury crash that occurred on State Rt. 414 the Town of Fayette. Upon investigating the incident Deputies learned that Jennifer Carroll age 38 of 7045 1st St. Ovid in the of Town of Romulus was north bound when she became distracted and rear ended Timothy Sanpietro age 19 of 5542 McDuffie Town Rd Romulus when he was stopped and attempting to turn left onto Yellow Tavern Rd. Carroll complained of chest pain. Sanpietro complained of right leg pain. Both were transported to Geneva General Hospital by North Seneca Ambulance for further medial observation. Both vehicles were towed from the scene. The Seneca County Sheriff’s Office reports on April 9, 2019 at around 6:30pm, Deputies were dispatched to 8825 State Route 96 in the Town of Covert for the report of a vehicle fire in a garage. Erin Butler, Age 36, of ( same address ) Interlaken NY was alone in the garage working on his 1978 Fiat when a solenoid sparked and caught the fuel that had come from the carburetor on fire. The engine bay and Erin’s coat were engulfed with flames. Interlaken FD was on scene and was able to put out most of the fire with a fire extinguisher. FD trucks arrived on scene and put out the rest. Ovid and Lodi Fire Departments were called off from further assistance prior to arrival. Trumansburg Fire Department and ambulance were on scene to assist. No one was injured in the event. The vehicle is covered under the homeowners insurance and will have to cover about $3,000 in damages to the vehicle.